At Årsunda, you can visit the Viking Farm Årsjögård. Here you are in the middle of the Land of Iron, in the heart of the province of Gästrikland. You will experience cultural history in an exciting, informative and living way. The Viking Farm offers a variety of activities where theory and practice are mixed in a pedagogic way to stimulate all senses. 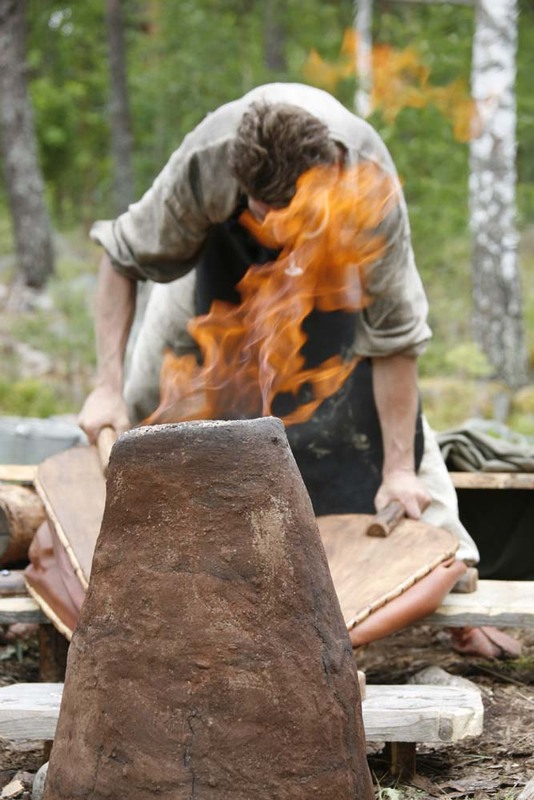 The Årsunda Viking project was initiated by the city of Sandviken in 1993 as an act to create job opportunities in Årsunda with the aim to create a tourist attraction. - A full-scale reconstruction of a Viking Age farm with animals, gardenings etc. - Preservation of ancient monuments in Årsunda. 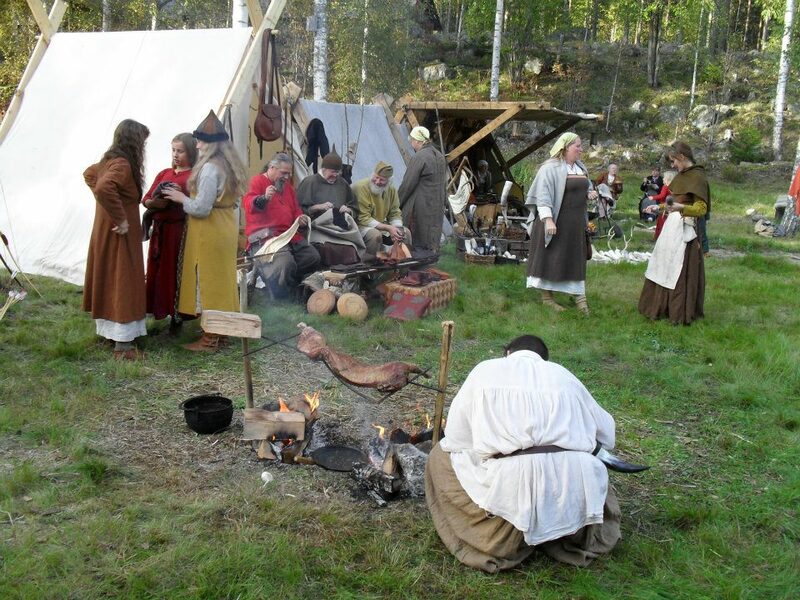 - The Viking Expo - a building with Gästrikland´s Viking Age as a theme. At first, an exhibition was created in a small hall in central Årsunda, then plans were made for a real museum. Those plans came to life in the Summer of 1998, when the Viking Museum was inaugurated. 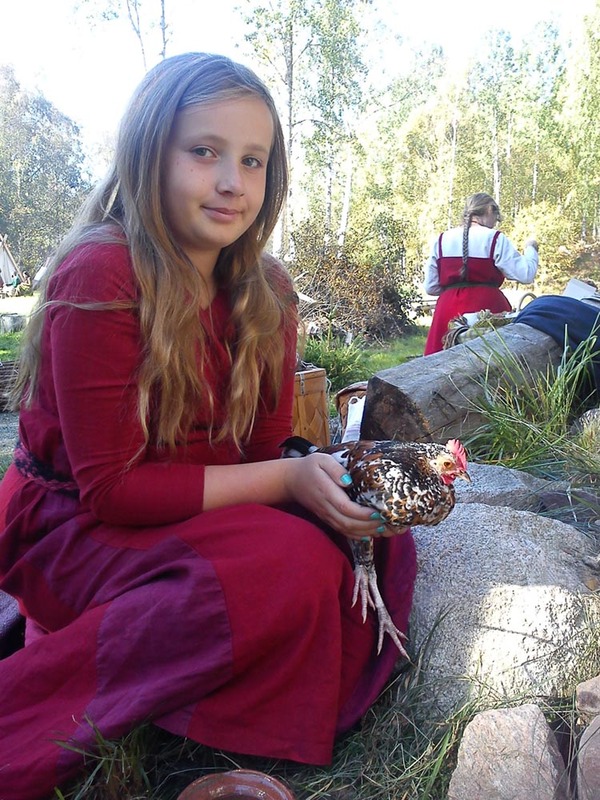 At the Viking farm Årsjögård, you will meet Vikings that tell you about the life on the farm. You will see, among other things, a rune stone and a sacrificial place plus several houses such as a smithy, cooking house and the magnificent longhouse. The longhouse, consisting of a residence and a hall, is the pride of Årsjögård. In the residence there is room for about 20 adults / 25 children to spend the night, the hall has room for another 10-15. The longhouse has a beautiful roof consisting of 22,000 shingles. The walls are a plaited work of wicker covered with a mixture of sand, mud and cow dung. It´s 4-5 inches thick and keeps the house warm in the Winter and cool in the Summer. When in 2000 the Sandviken Municipality withdrew its support, the museum was closed in 2003. After many debates back and forth it was eventually decided that the Viking Association Fafner would continue running the Viking Farm. Since then ideas have come up like having an art project and a Viking market. The goal is to continue to develop the farm and the activities in the best way possible and have a "living history museum" where visitors will experience ancient times with all their senses. A place where one also protects and cares about the environment, traditions and old techniques and put Årsunda and Gästrikland on the map!